Teflon® and Xylan® coatings are at the forefront of high performance coatings and as such, it makes perfect sense to select from the range of coatings a product that can deliver the results demanded by military applications. The full extent of the technical complexities surrounding military equipment cannot be underestimated, and therefore such demands are complimented by the selection of Teflon® and Xylan® coatings. Design engineers understand that there is a requirement for solutions regarding product enhancement and such solutions are found by the application of performance coatings. From aircraft fuel pump systems to production tooling, the PTFE range of coatings offer solutions to some major issues that confront design engineers. 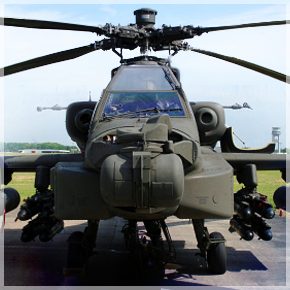 The challenges encountered by PTFE coatings for military equipment applications include EMI/RFI shielding and cryogenics, fuel cells and pneumatic cylinders. The application of PTFE coatings to various substrates, such as Stainless Steel, Titanium and Inconel can all be coated. In addition, Brass, Copper and Glass can be coated, with such materials process changes may be required to carry out the surface preparation, and some additional trials may be required. With the complexity of military equipment and the standards required, for both ground and air equipment, there will be a Teflon® or Xylan® coating to meet the demand. The best solution for projects can be developed with our range of materials and techniques, supported by documented processes. Our expertise of coating both large and small parts, particularly where precision is of paramount importance, the skills and equipment at your disposal will ensure that those demands will be achieved. Therefore, if the requirement is to minimise wear, maximise lubricity or provide insulation, PTFE coatings can fulfil those requirements. PTFE Applied Coatings maintains compliance with ISO 9001:2008, such compliance is verified through annual assessments, internal audits and customer on-site audits. As a result, relationships have developed with the major equipment manufacturers and suppliers, ensuring product quality, for the most challenging projects.